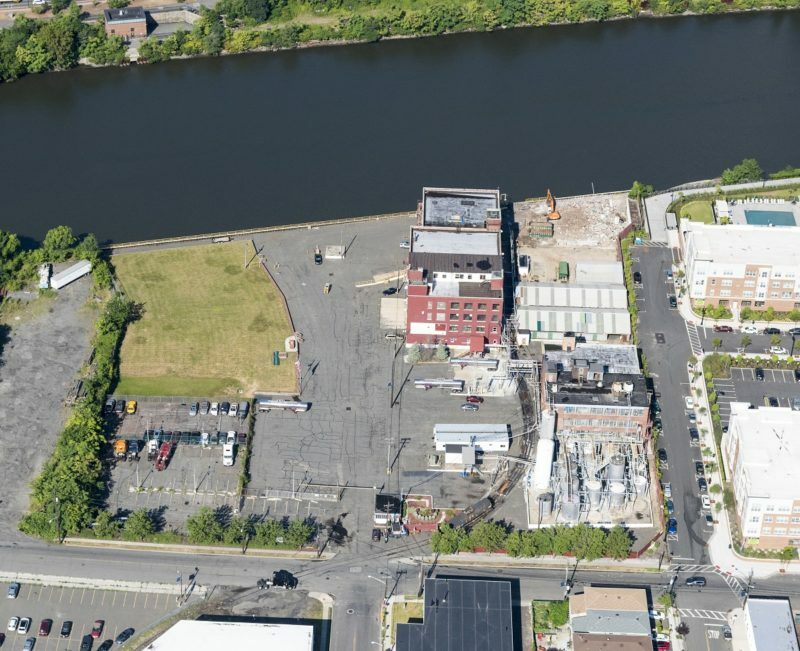 An industrial user has sold a former warehouse site and a vacant lot in Harrison, paving the way for another addition to the town’s waterfront redevelopment area. CBRE announced Tuesday that it represented GEO Specialty Chemicals Inc. in the sale of 15 Essex St., which consisted of a 233,000-square-foot industrial facility and what has been used as a parking lot. A buyer identified as 28th President LLC paid $14.5 million for the 5.35-acre development site. CBRE First Vice President Charles Berger, First Vice President Elli Klapper and Mark Associate Silverman worked with Thomas Sullivan and Paul Touhey, senior vice presidents with the firm’s advisory and transaction services team, to represent the seller and secure the buyer. “Our Tri-State Investment Properties team is proud to have achieved excellent pricing for our client, while at the same time providing a tremendous opportunity for the buyer to continue taking advantage of the transformation of the Harrison landscape,” Berger said. “We were able to help our client navigate this long and complicated process and are excited to be a part of Harrison’s downtown transformation. The brokers touted the site’s opportunity for a large-scale development just blocks from the PATH station. It could be among the latest in several mixed-use projects containing luxury apartments, retail and parking in one of the state’s best-known redevelopment areas.